Q: I’m planning to file an application with US Citizenship and Immigration Services (USCIS) to adjust my status to that of legal permanent resident, based on my marriage to a US citizen. I understand that this can take a long time, and I heard that there is a way to pay a special fee to get an application on the fast track. Is this true?A: Currently USCIS offers what it calls “premium processing” for a $1225 fee only with regard to certain employment-based visa petitions. Other applications, such as those to adjust immigration status based on certain family relationships, are processed on a first-come, first-served basis. Processing times vary with the type of application and the particulars of individual cases. Adjustment of status cases based on marriage to a US citizen, for example, have been taking on average around three to four months from the date of filing to the adjustment interview in the USCIS Boston regional office. Applications for naturalization have generally been taking a little longer. USCIS does provide what it calls “expedited processing” for no extra fee in cases where its “expedite criteria” have been met. USCIS stresses very strongly that it will expedite processing only when there is, for example, an “extreme emergent situation,” or the likelihood of “severe financial loss,” or a humanitarian situation. Our experience is that USCIS means what it says about its strict criteria for accelerated processing, and such requests are granted rarely. Still, cases do arise when the agency will accept an accelerated processing request. If you think you may have such a case, let us know, and we can help you to evaluate your chances. Applicants can track the processing of pending cases with USCIS online at www.uscis.gov or by calling the agency’s customer service center at 1-800-375-5283. When checking case status, have the application receipt number and other documentation from USCIS ready. Make sure that USCIS has current address information for mailing notices of action and other important communications to applicants. Address changes can be submitted online; this should be taken care of as soon as an applicant moves to a new residence. We have seen numerous instances where applicants wonder why they have not heard from USCIS for many months, when it turns out that mail from the agency was returned as undeliverable. 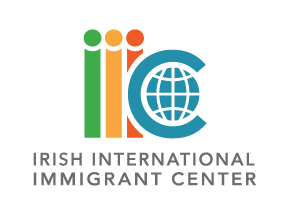 IIC also provides on its web site current average processing times for different types of applications filed at various USCIS offices and processing centers, so applicants can determine whether their applications are taking longer than usual. We note, however, that the average times given have in some instances been out of date, with the actual processing times being somewhat faster or slower. Keep in mind that processing times refer to the amount of time it takes the government agency to get to a particular application that is actionable when filed. This is different from the waiting time, for example, for visa numbers to become available in categories other than immediate relatives of US citizens. The waiting time in such cases can extend to many years under current law, based on the limited number of visas that Congress provides each year. IIIC can assist with case status and processing time inquiries. If you have questions about this or any other aspect of immigration law, visit one of our weekly legal clinics for a free, confidential consultation. Disclaimer: These articles are published to inform generally, not to advise in individual cases. US Citizenship and Immigration Services and the US Department of State frequently amend regulations and alter processing and filing procedures. For legal advice seek the assistance of an immigration lawyer or an accredited IIIC immigration specialist.